Digital Marketing Automation: The chance for your company? Only online businesses need to know about digital marketing, right? That’s just not true – not anymore. E-commerce entrepreneurs, Amazon drop-shippers, and SaaS specialists: These make up the entire cosmos of those adopting digital automation. After all, do they really have a choice? No, they don’t. But neither do you. Yes, you. Your SME is crying out for some good old fashioned innovation via some new-fangled digitization. Worry not: This revolution has already taken over and if you’re not on the bandwagon already, a switch to digital marketing is simply the equivalent of joining a party already in full swing. You can’t teach an old dog new tricks but you can certainly guide a smaller dog. The truth is that SMEs are naturally built to transition to digital and online marketing better than their fat-cat counterparts. The way that SME companies run today leaves a lot of room for improvement on the table — and herein lies the rub: With that improvement comes the chance for opportunity. In other words, while SMEs have yet to take advantage online marketing and digital automation in many respects, starting is simple enough because there is so much more SMEs could be doing. Consider this report by Smart Insight, citing major challenges for SMEs in 2016. The largest concern of small and medium sized enterprises has been lead capture and conversion, along with generating web traffic and finding time for marketing as the secondary and tertiary concerns. Any marketer worth their salt should have a gleam in his or her eye right now — this is your opportunity to shine and start with small, simple shifts towards automating digital marketing practices. We’ll take a look at some key areas in a moment. But let’s go back to those “pain points”, shall we? There is a common misconception that businesses that operate solely online are those that should be automating parts of their sales process. Then, there are those retail and brick-n-mortar stores that can extend their user base in order to increase sales — but only as an afterthought. Think again. Existing as a small or medium-sized business actually means that you rely on digital marketing and automation more than larger companies. One of the reasons is brand loyalty. Simply as a function of time, these so-called “dinosaurs” have just been at it longer than you have. They have greater visibility. But the great leveler of the playing field is The Internet. And in this case, digital marketing campaigns help democratize reach while allowing for even narrower forms of audience targeting. Digital marketing campaigns are, quite simply, the most cost-effective strategy in reaching customers, building a relationship to conversion and nurturing a sense of brand recognition and brand loyalty. But the methods are changing — actually, the methods are getting faster, less tedious and completely automated so that digital marketers can focus their time and attention towards experience marketing campaigns. The status quo is hiring a bloated digital marketing team to handle the various moving parts when most of these parts can be automated, through digitization. The brave new world, on the other hand, is calling for a leaner, more agile digital marketing team, with a clear vision and digital marketing know-how. Marketing campaigns are both built for automation — and require intense human scrutiny. Marketing campaigns are both built for automation and require intense human scrutiny. If you’re thinking now about the horror stories of Instagram bots as a way to marshall evidence behind your argument that digital automation is not always better, let’s say this: Unprepared technology gave personalized marketing interaction a bad name. But that doesn’t have to be you. While email marketing funnels, for example, can be automated, human scrutiny and creativity is what turns a somewhat tepid reader into an enthusiastic buyer. To continue with this example, copy is something creatively crafted by talented copywriters. And research on past purchases to offer tailor-made promotions is a kind of analysis best suited to humans. The value of the “human touch” will never fade in marketing. Nor should it. The truth is that only humans — those all-star marketers you’ve hired for your SME — should be doing things like setting up Facebook ads, hooking up all the pieces of the landing-page-to-email-list automation, and responding to customer support tickets. However, digital automation provides important, time-saving tools for marketers to identify places of repetition — invoicing, lead capturing and data entry, follow-up emails, sales funnel sequences, membership renewal, etc. — and task these off to technology. Meanwhile, all actions performed within any user-friendly digital marketing suite should come with a “read-out” of those actions in the form of analysis. And herein lies yet another, highly useful and rather integral aspect of automation: Analytics. It is much easier to take a high-level glance at metrics such as page views, links, sales, payables, receivables, PPCs and CTRs, and commonalities between clients/customers through the built-in analytics that digital automation software provides. Inevitably, this leads to smarter decisions the next time a marketing campaign is run. Marketing automation for campaigns is also made easier through digital techniques in one other very notable way: A/B testing and segmentation. Let’s return to the previous email marketing example. In this scenario, a welcome sequence could be set up and triggered by an individual interacting with a Facebook ad, signing up for a freebie or opting in to the mailing list. It could also be via a survey a user had to register for or an entry into a contest that required submission of their personal email for a chance to win. The “welcome sequence” set of emails might include 3-5 emails setting the stage for the next few interactions, laying out the brand, its promises and offering a brief promo through a CTA. But, based on the interactions of the users in the email (opened? opened but no links clicked? only the first link clicked? trashed? ), a certain segment of the users would receive an entirely new set of emails. In email marketing, this smart technique is known as “tagging”. On the client-side, it’s simply experienced as a business knowing one’s position in the buyer’s journey. Eerie…and effective! Tagging and segmentation, as a form of automation, allow SMEs to do a better job at capturing their leads, building a relationship with them long-term and, eventually, converting them. If it’s true that small businesses regularly leave a lot of “money” lying on the table, then these 6 areas of focus are where they’ll need to place their efforts. The good news is that these areas are both familiar and, in many cases, in need of some serious overhaul. The bad news is — well, that’s a red herring. There’s no downside to digitization — done right! Content strategy in digital automation zeroes in on everything from editorial calendars for blog posts, optimizing copy for prime keywords, hooking into Google Analytics and SEO best practices, creating native content for targeted social media platforms even internal style guides. Schedule and frequency of posting as well as determining content types and platforms are key to nailing and refining a social media presence for a brand. Along with this, small businesses would do well to reach out to and harness the power of local “social media influences” or online “ambassadors”, especially when just starting out. Even though Google has been penalizing websites and companies for failing to have responsive, mobile-friendly websites, there are still an astonishing number of SMEs (that’s roughly 40%, according to this study by Yodel and Research Now) that simply cannot be bothered to tweak the “media query” of the CSS of their website. While it may not be as simple as that, it certainly is a must. So get to it — your customers will thank you by returning and Google will reward you by ranking. 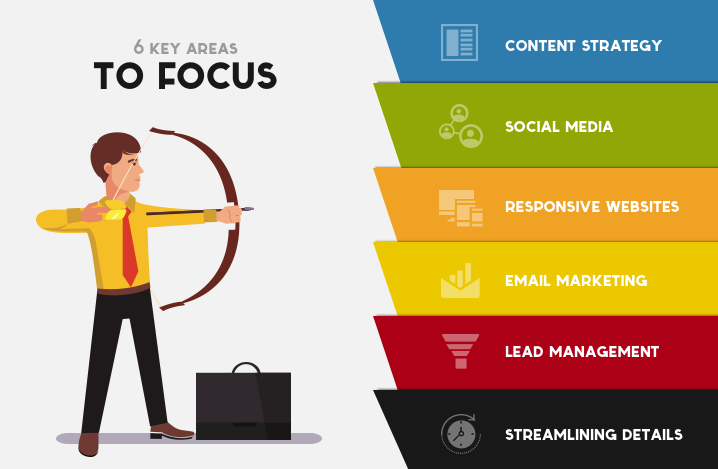 A solid email marketing strategy blends together the buyer’s journey, the various products or services the SME offers along with the specific words and copy that will resonate with each “funnel” that is set up. 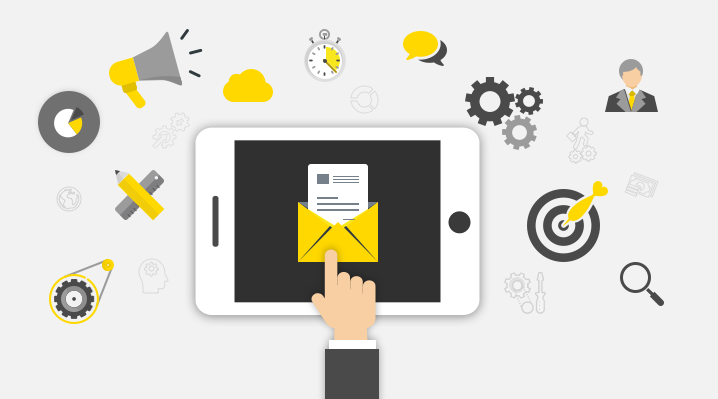 Capturing leads and following up is a big part of email marketing. Mapping the actions of leads, managing the relationship to the customer, nurturing over time, optimising the sales process, building a CRM database and analysing leads to optimise for conversion — this process is made easier, more intuitive, and more responsive through digital automation. And what about all those tedious administrative tasks? Accounts receivables, accounts payable, invoicing, resource management, task delegation, time tracking, inventory, expense- and tax-tracking, and data entry — luckily, there’s an app for that. Which business areas are in essential need of automation? Join the discussion in the comment section below!